Yesterday all my zombie troubles seemed so far away, but it was not much longer ago that Co-Optimus broke the news that new DLC was coming to Left 4 Dead 2. Like many blokes I was afraid to commit, so I didn't say whether the DLC would be coming to Left 4 Dead or Left 4 Dead 2. For once in my life indecision has proved successful as Valve have only just officially announced on Gamestrailers.tv that the new DLC, entitled The Sacrifice, will be coming to both the original game and its sequel. The Sacrifice will run in parallel with the recent The Passing DLC, but will tell the story from the original survivors' point of view. Owners of both games will get the same DLC, but Left 2 fans will be able to use the new elements that the sequel offered. This means that cross game interaction is unlikely as Left 4 Dead does not contain the assets needed to play with Left 4 Dead 2 players. 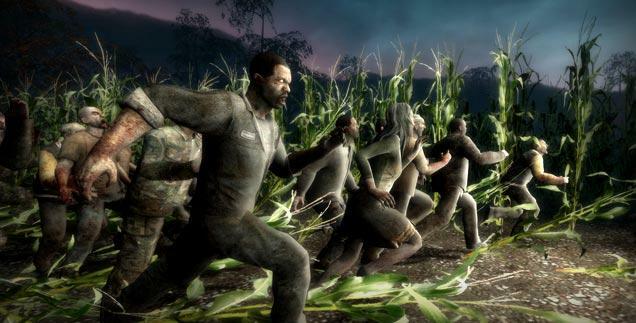 The upcoming DLC will contain even more goodness in the form of Left 4 Dead's No Mercy campaign being ported over to Left 4 Dead 2. This is the most played map from the original game and incorporating it in the sequel will allow deadheads to use the new characters, weapons and infected on familiar terrain. Not enough? How about a 150 page digital comic set in the Left universe coming out next month? As before any news on this DLC will contain spoilers so click Read More for a snippet of info on The Sacrifice. Welcome, Spoiler Dwellers. If you are here, you know that Bill is Dead, killed at the end of The Passing. However, all is not what meets the eye as The Sacrifice will actually allow any one of the four original survivors to sacrifice themselves for the greater good. The pre-scripted ending of The Passing need not come about, so which character do you like least? Or should that be which co-op pal do you like least?